Five people were injured last night as gunmen opened fire near the site of a Black Lives Matter protest in Minneapolis. According to a statement posted to the group&apos;s Facebook page, the men, whom they call "white supremacists," opened fire after they were asked to leave and were then escorted away from the encampment. Minneapolis police said the five people suffered non-life-threatening injuries and the police are now searching for three white male suspects. "Rumors about the nature of the shootings — and the shooters — spread quickly through the encampment. Twitter feeds, using the hashtags #Justice4Jamar and #FourthPrecinctShutdown that they&apos;d been using all week, lit up the Internet with theories of the shooters&apos; identities and police involvement.
" &apos;I don&apos;t want to perpetuate rumor,&apos; U.S. Rep. Keith Ellison, who has joined the group throughout the week-plus demonstration, said after the shootings. &apos;I&apos;d rather just try to get the facts out. That&apos;s a better way to go. I know there&apos;s a lot of speculation as to who these people were. And they well could have been, I&apos;m not trying to say they weren&apos;t white supremacists. But I just haven&apos;t been able to piece together enough information to say with any real clarity.&apos; "
As we&apos;ve reported, demonstrators have set up a camp outside the Minneapolis Police Department&apos;s 4th Precinct to protest the fatal police shooting of a black man. 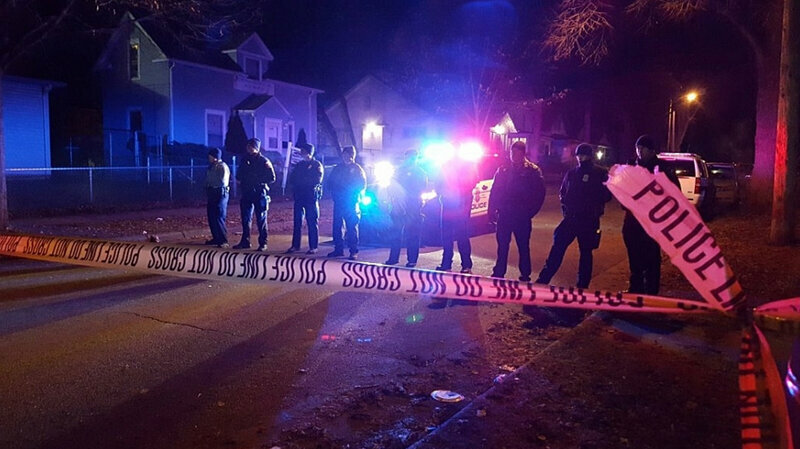 Police say they shot Jamar Clark in the head because he interfered with paramedics who were treating his girlfriend. Demonstrators say this is yet another case of police using excessive force.